I am writing to you this letter few days after I already left you… you are probably worried, I am truly sorry! I could not have written to you sooner. I just came back from two days of hard work in the triangle. I was part of an operation which was sent to occupy Arabic villages in that area. I had to carry a 20 kg radio on my back, it was very hard, but I am fine! It all went very well, do not worry! I am healthy. However, I do not know where I will go next; I guess I have to wait for my fate. How are you? How do you feel? I miss you!!! 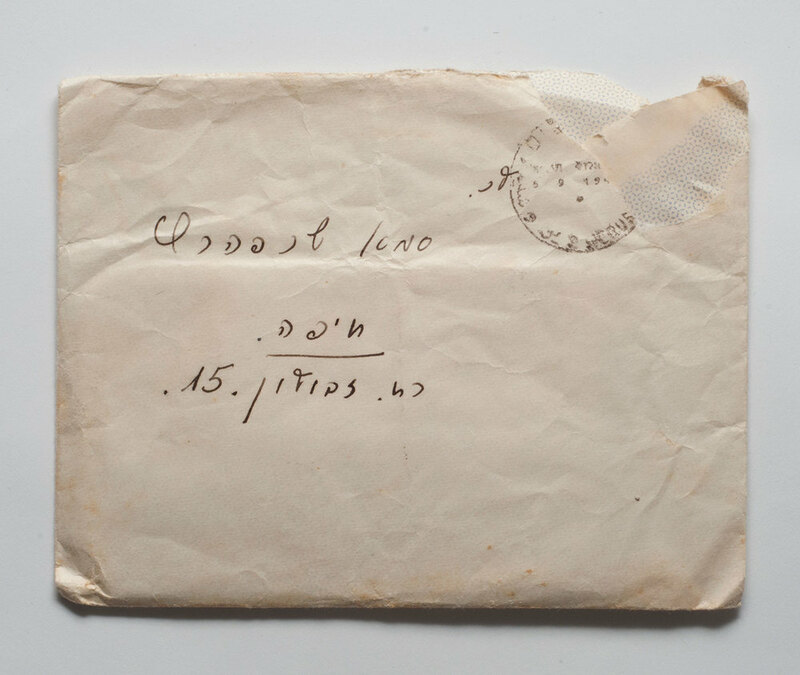 In 1947 my grandfather Mosheh Zwiegenbaum immigrated to Israel after surviving the Holocaust. When he arrived in Haifa, he met my grandmother, Sima. Few months after his journey to Israel Mosheh was enlisted to the Israeli army in order to fight in the Israeli War of Independence. No one except Moshe and Sima knew these letters exist. My mother found the letters in their apartment after they died in October 2013. She only found the letters he wrote, Sima’s responses are yet to be found. Mosheh barely knew Hebrew when he arrived. 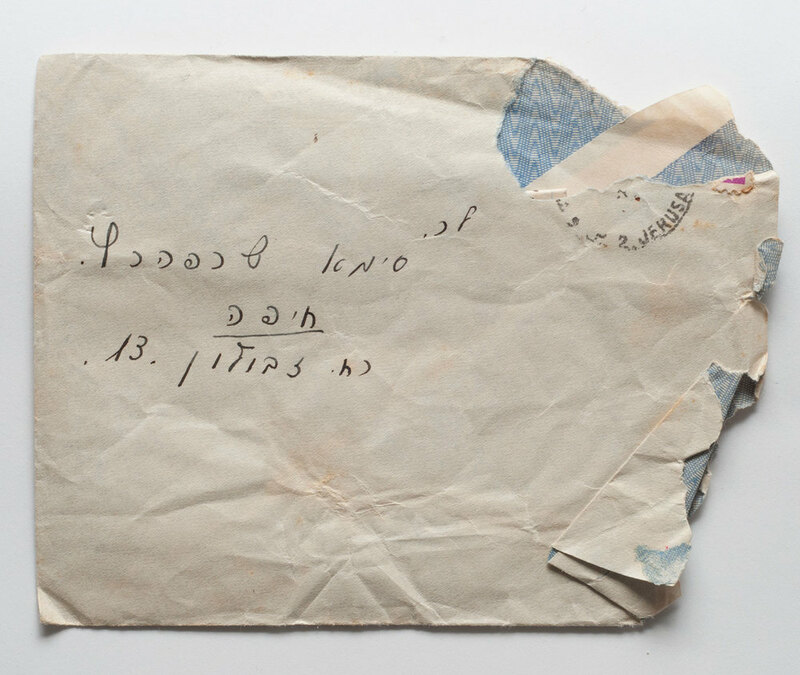 However, taking on his new Israeli identity, he was compelled to write letters in Hebrew to my grandmother so that she would wait for him until the war was over. 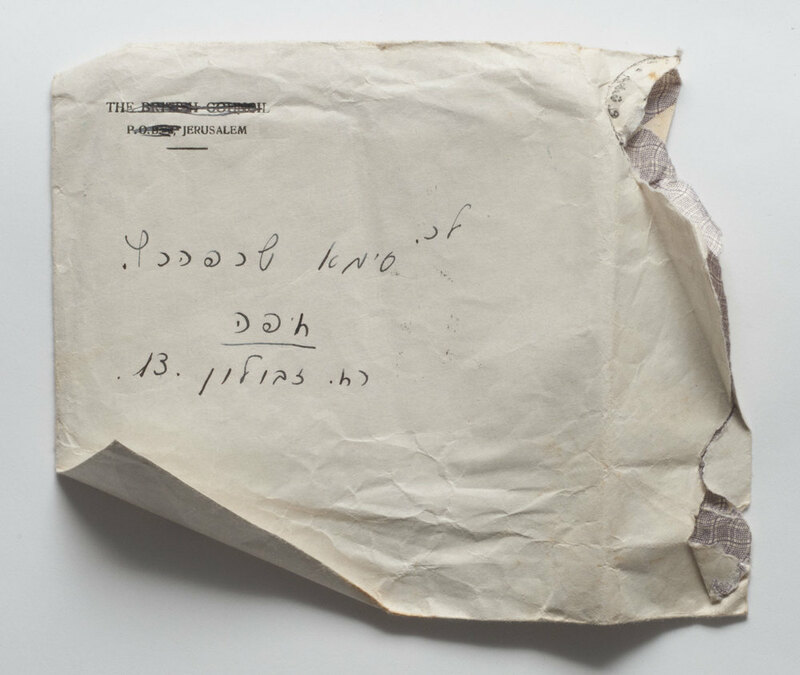 The letters contain both emotional expressions of longing for my grandmother and at the same time cold reports on the war. The guiding force behind this work is my search for a contemporary way to present these important letters‭. ‬I created a digital archive to the letters‭, ‬by creating 3D illustrations to the letter's content‭. ‬The letters are both historical objects from Israel‭ ‬and Palestine’s past and personal relics from my family history‭. * This project was commissioned for Musrara Mix festival, 2014, Jerusalem.